Posted on December 8, 2017 - Get free updates of new posts here. Chris Out from Dutch Growth Hacking Agency RockBoost recently wrote a case study on a feedback generation strategy hack I used for one of my clients. Here it is, in full. This hack is just one hack from my Definitive Guide to Review Generation. 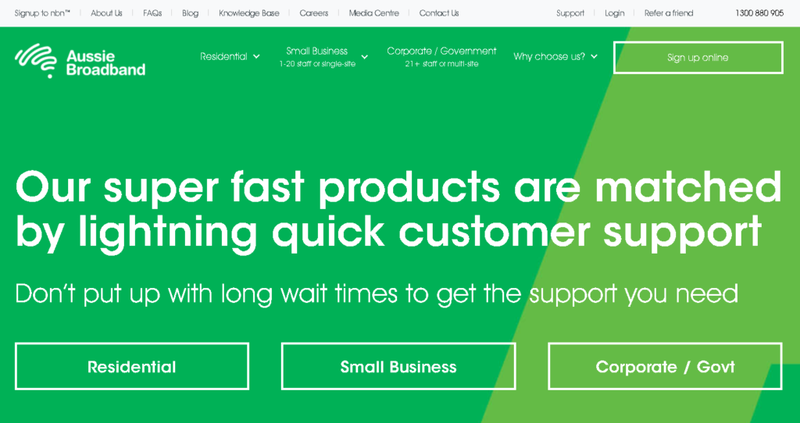 Let’s say you’re an Australian Broadband service provider, and although most of your competitors have awful customer service, yours is actually pretty good. The problem is that people tend to assume you’ll have terrible service as well. They kind of project their preconceived notions of enmity on you in advance. Totally undeserved. Not fair. So, how do you survive in such a parched and hostile land? How do you convince the masses that you’re different? How do you beat back the bias and become known for being the provider with exceptionally good service? That was the challenge Duncan was asked to solve for his client, Aussie Broadband. AB wanted to get the word out there that they had Australia-based customer support teams and a congestion free network. Unlike those other guys, they were in the business of making people happy. Duncan figured the best way to do this would be to ensure that Aussie Broadband climbed up the ratings ladder on all the important Australian review sites. Of course, if AB’s customer service was really awesome, it should start happening naturally. Organically. Right? Sure! But it would be a slow process. And in an industry where people are already more inclined to be negative (and expressive about their negativity), it could be a challenge, regardless. So the question then became: How could they accelerate the process and get Aussie Broadband customers to publicly and enthusiastically divulge their love and affection for their ISP all over the web? The general problem with review sites is that people who are angry and upset tend to be a lot more vocal than people who are satisfied — or even quite happy. Happy customers rarely think of going out of their way to leave a review. Those who’ve had a bad experience, on the other hand, go actively looking for a place to vent their frustrations (At least I know I do!). So how could they turn this around? Taking some ideas from our Daily Growth Hacking Tips, Duncan came up with something quite clever. Integrating Aussie Broadband’s custom CRM with its email platform, they started pushing every new customer into an automated email sequence designed to warm them up. They found that about 2 months into their contract, AB customers were generally very happy people (by that point having experienced the congestion free network and the outstanding customer service). Thus, two months in became the ideal moment to strike with an automated request for feedback. Customers would land on this page where they were simply asked to rate their satisfaction on a scale from 1 to 10. Only if the customer clicked a 7 or higher would a collection of links appear prompting them to leave a review on one of several leading Australian review sites. If the customer clicked lower than a 7, a feedback form would appear instead, in which they could express their unhappiness so AB’s service team could help them out. 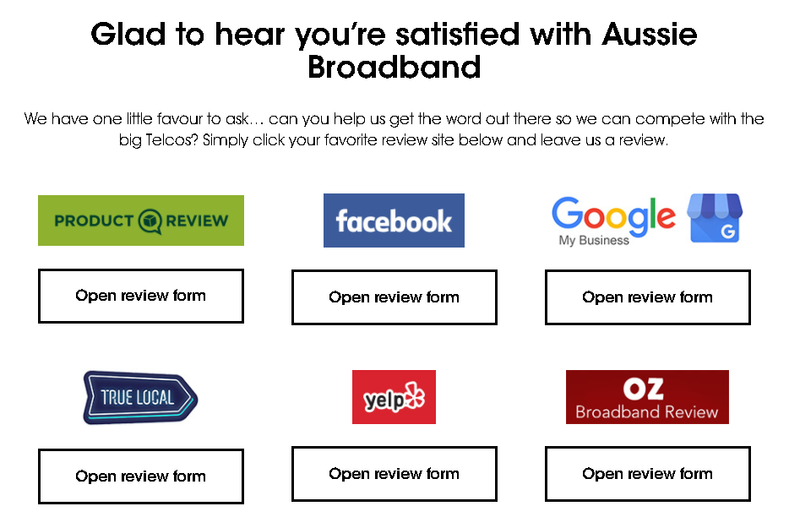 What Duncan did was essentially ensure that only the happiest of Aussie Broadband’s customers were forwarded to the important review sites, thus building up positive reviews and preventing bad ones. Of course, any unhappy customers would then be expertly pampered by the dedicated Australian support staff until their levels of exuberance returned to normal and they would be ready to leave their own positive feedback in the future. Okay Then, So Did it Work? In a short amount of time, Aussie Broadband has climbed the rankings rapidly. 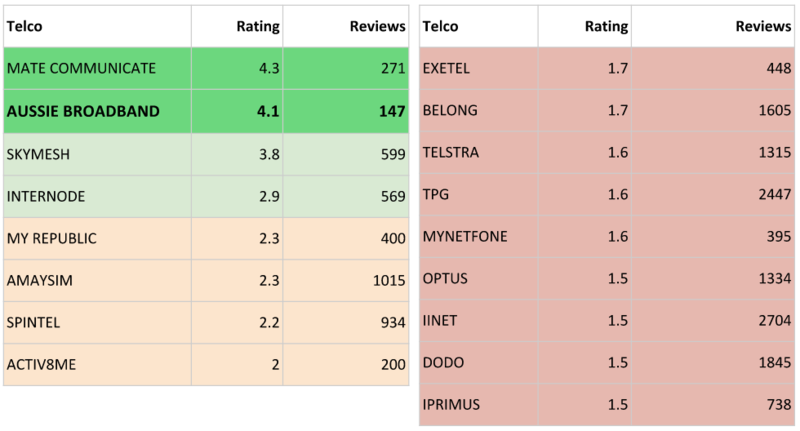 On the highest traffic review site in Australia, they are now in second place among their primary competitors, and well above the average for their industry. And it’s only getting better as a steady influx of new reviews come in daily. More cleverness: As reviews keep coming, they can adjust which review sites are displayed in order to ensure the positive feedback is channeled onto the websites that still need it most. Having successfully tested this hack on new customers Duncan now plans to take the same approach and draw on AB’s massive community of existing customers for further reviews. Naturally, they expect a huge leap forward. So, What Can We Learn From This Awesome Growth Hack? This is a pretty great example of growth hacking. A cross between marketing automation, programming, behavioral psychology and data-driven optimization — that actually drives results. It’s automated. With the integration between the CRM and mail platform, and the auto email sequence, this stack is always on. It runs with minimal required maintenance. It’s data-driven. Duncan is able to track AB’s change in rankings on a multitude of sites and adjust the flow of reviews where required. It’s built on a product with solid PMF (product/market fit). Growth hacks are no more than cheap tricks unless the underlying product or service is already stellar and well-loved. The timing is just right. Duncan took the time to figure out when customers were most happy and likely to leave positive feedback, and triggered the email right then. Finally, it’s freakin’ clever. By filtering users with a happiness score indicator and only soliciting reviews from the happiest, Duncan found an effective way to build up positive reviews only. Growth hackers are on a never-ending crusade to understand and optimize the systems that produce the results a company is seeking. They know that better outcomes don’t just come from trying harder; they come from making clever, systematic adjustments to processes, and then continually measuring the results. Growth hacking is simply about investing effort in the right places. As the cliché goes, it’s about working smarter, not harder. And as Duncan has demonstrated again, it really works. 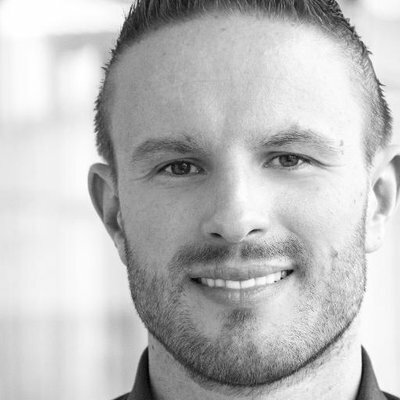 Chris Out is CEO and co-founder of RockBoost, an extremely fast growing growth hacking agency from The Netherlands. He is recognized as one of the leading growth hacking experts in Europe. You can find him on LinkedIn here.